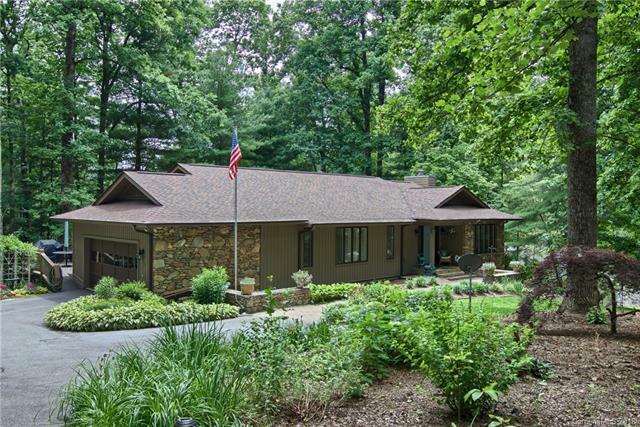 Stunning Remodel of Mountain Contemporary Custom in highly desirable Timber Creek neighborhood in Laurel Park. Nestled into the natural beauty, this level half acre plus lot offers tranquility with lush mature landscaping and a very convenient location. This immaculate home has been very thoughtfully updated with quality and craftsmanship as the leading criteria so it's move in ready. Features: Over 2600 sq', 3 bedrooms, 2 full bathrooms, 1 half bath, luxurious gourmet eat-in kitchen, granite counters, new SS appliances, formal living and dining rooms, hardwood & tile floors throughout, large family room with stone fireplace, basement workshop and storage area, large screened porch overlooking lush private rear yard and so much more.